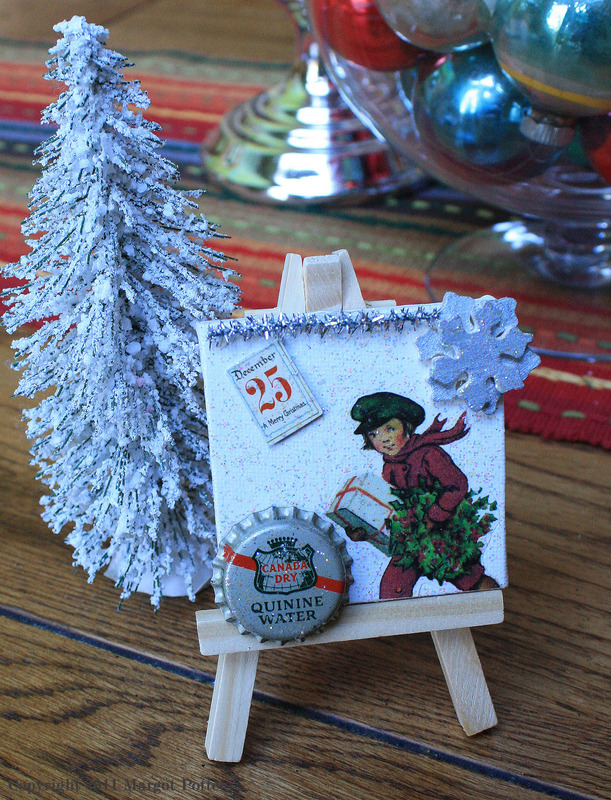 Recently I was out shopping with my mom when I stumbled upon these miniature easels and canvases. I immediately knew that I had to use them for a project because they were so cute. So I bought two, one for me and one for my mom. Since Christmas is right around the corner I added Santa , a snowflake, and the rest is history. I hope you enjoy it! 1. Select a bold image, size to fit canvas on a computer and print. 2. Cut image out with scissors. 3. Take your decoupage medium and paint it on the back of your Santa using foam brush. 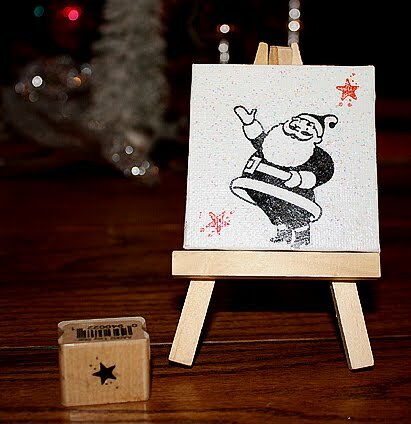 Put the Santa on the canvas and apply more decoupage medium, on top and all over the canvas. Let dry. 4.While that dries paint your snowflake red. Let dry. 5.Take your letter and attach to the bottom right of your canvas. 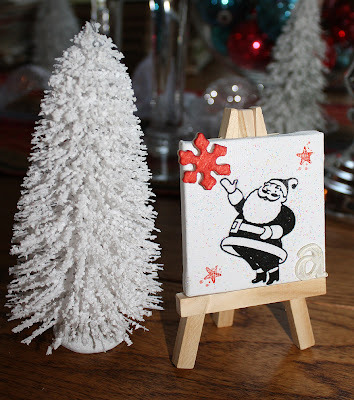 Apply glue to the back of your snowflake and attach to the top left of your canvas. 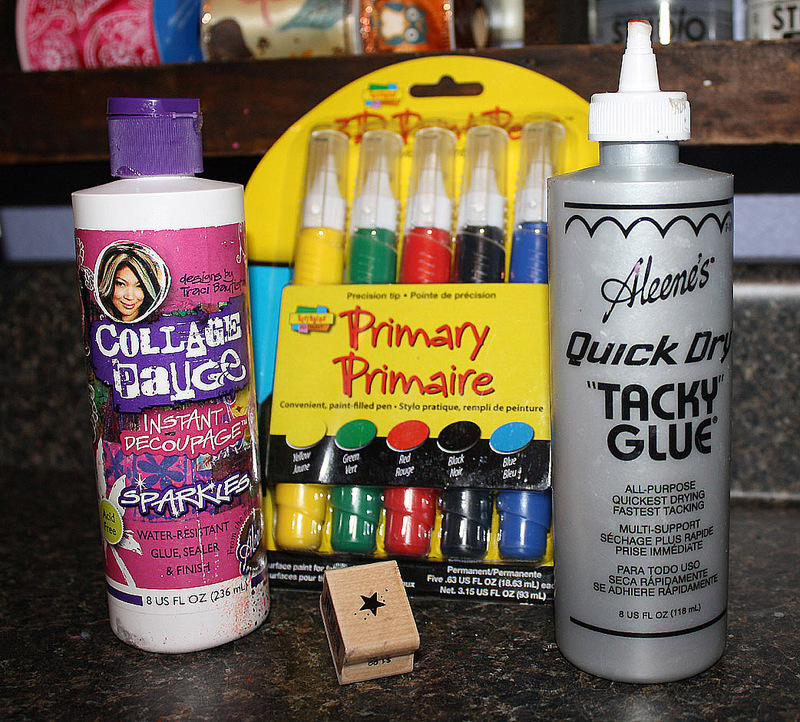 6.Use your red paint and little star stamp to stamp the top right and bottom left of your canvas.